Two years ago I reviewed the Grado Labs Statement v2 Cartridge ($3500), at that time the highest priced Grado cartridge—the top of their Statement Series. Reviewed using my VPI Industries Prime Turntable, I was so impressed, it has remained as my reference since—it further pulled me into vinyl. After that review, I concluded that besides speakers (which are in general large and heavy), phono cartridges (always tiny and light) are examples of a component that can significantly change the sound quality of an audio system in a way that is immediately noticeable. As soon as most vinylphiles see a trapezoidal nugget in wood, stone or metal with some delicate Japanese Kanji, our moving coil hearts skip a beat. I’m a Phasemation guy—Japanese made, but no Kanji. Just a beautiful hunk of Duralumin. How many of us have lusted after a Koetsu Jade Platinum or Blue Lace? 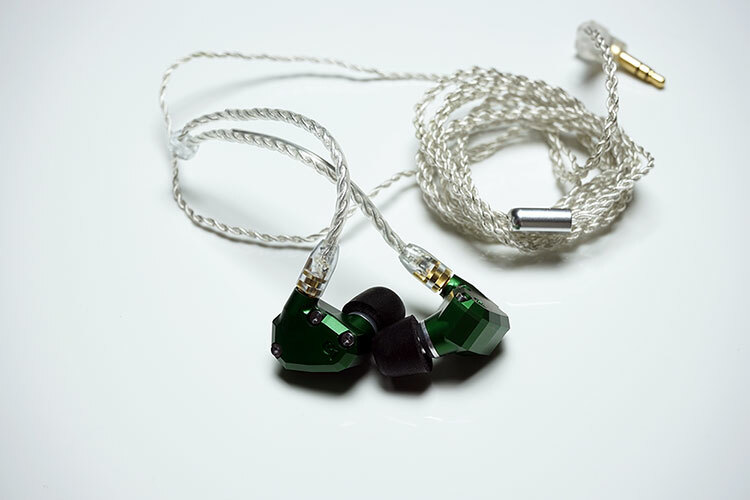 Hand made gems of the very best audiophile jewelry. And the heart of a fine analog front end. For the past two or three years, German classical music label Deutsche Grammophon has been quietly releasing some rather deluxe vinyl box sets of their catalog cornerstones. One of which; Herbert Von Karajan’s recording of Brahms’ Four Symphonies, has already received a review in Audiophilia. Now again, the historic label has reissued one of its classic recordings, the Bach Sonatas and Partitas, recorded in 1967 by Polish-Mexican violin virtuoso Henryk Szeryng. Quality phono stages are all the rage. Records are now so popular with audiophiles, vinyl returners and the general population, a quality phono stage is aspirational in any fine analog set up. Dealers and vinylphiles have been shouting this from the rooftops for years. Audiophilia has reviewed five in the past twelve months. All first class, with outstanding fit and finish, varying designs, and with quality sounds unique to themselves. A wide array of prices but all significant investments. Ah, the cost, always the elephant in the listening room. John Stratton is the hardworking owner/designer of Vancouver High End analogue start up, Pure Fidelity (PF). He made a splash last year with his very well received initial opus, the Eclipse Turntable. It takes guts to dive into audiophile waters as a start up. If you are not in for the long haul with creative ideas, solid engineering and tireless work energy, don’t bother. Last month, I received a very pleasant email from Parisian-born, Manhattan-based tenor sax player Jerome Sabbagh asking if Audiophilia would be interested reviewing his latest release on vinyl. If it’s jazz, blues or classical vinyl, I’m usually a hard yes. No Filter is a collaborative project with guitarist Greg Tuohey (songs are original and about 50/50 on the record between Sabbagh and Tuohey) with bassist Joe Martin and Kush Abadey on drums. In October 2018, I was invited by Mat Weisfeld (President, VPI) to attend a party at the VPI Industries Listening House to celebrate the 40th anniversary of the company. The main event was the debut of a new and remarkable item that is the basis of this review: the VPI Industries 40th Anniversary Turntable, HW-40, named after VPI founder Harry Weisfeld (HW), who attended the event and even swapped out various high-end cartridges on the fly throughout. The grandly named T+A Elektroakustik GmbH was a company hitherto unknown to me. After years in the business, many reviews, shows, events and store visits, I was surprised such a highly regarded company had escaped my notice. I’m going to set that straight with an in depth look at one of the company’s DACs, the DAC 8 DSD High End D/A Converter. Audiophiles with a high-end audio system eventually recognize that cables make a difference in the sound quality (SQ) of their system. Interconnects, speaker cables, power cords, USB cables and so on. Sometimes the SQ is just different, sometimes ‘better’, sometimes ‘worse’ as compared to the cables they already have.